To see how it works, you should see the video above. 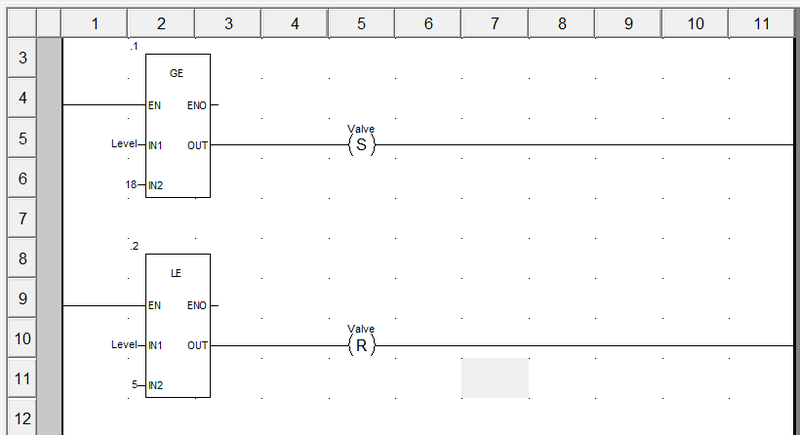 Below are the ladder diagram for logic control to controling level on water tank. 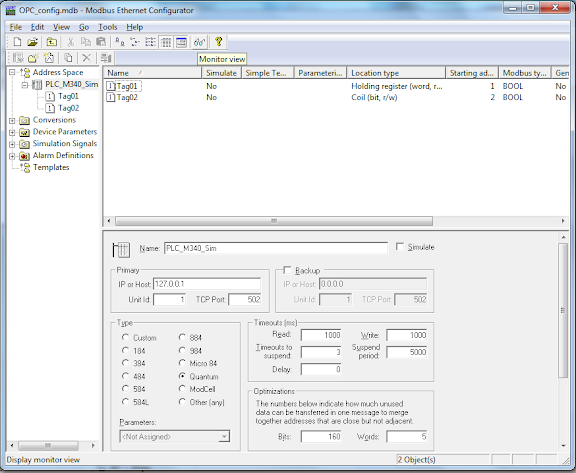 I set Valve will close when Level reach high limit 14 meters. and Valve will open when level reach low limit 5 meters. 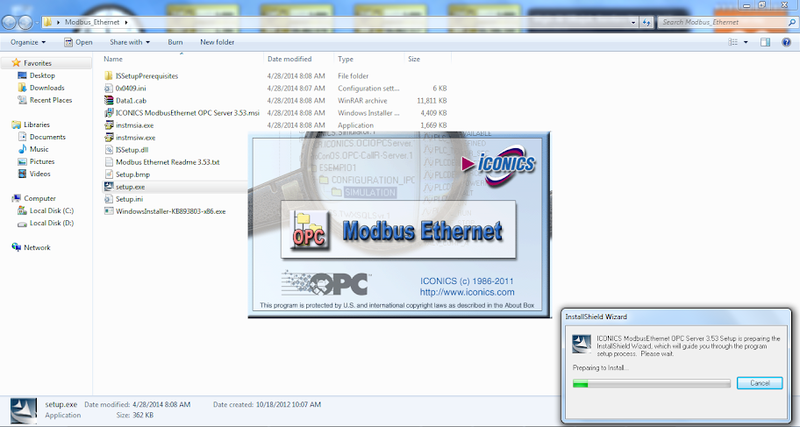 after installing you need to configure it or just load configuration from download file. Ok, saya cek dulu, harusnya otomatis muncul. can you provide some information on the Unity project you used for this? 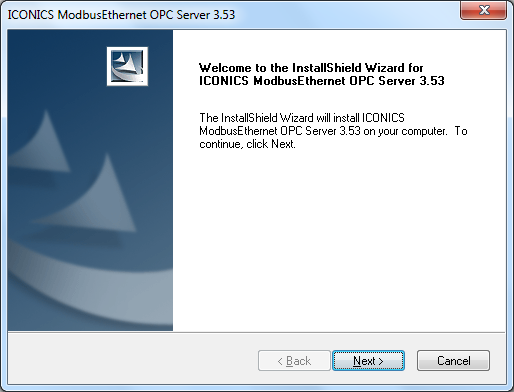 How did you configure the variables to read/write to the OPC server? What kind information do you need? 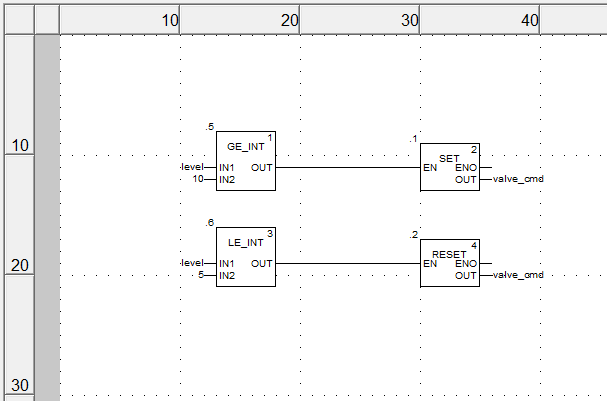 Variable information? let me update soon. 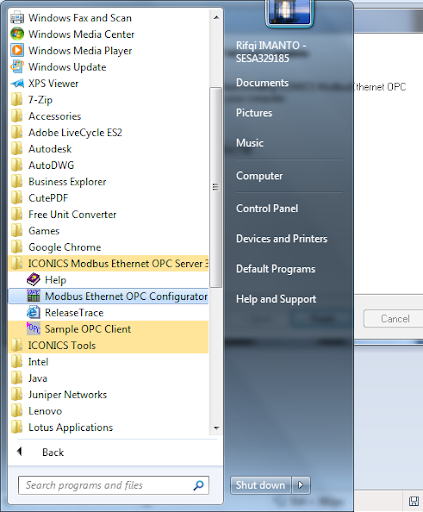 yes I configure OPC server for read and write to PLC. 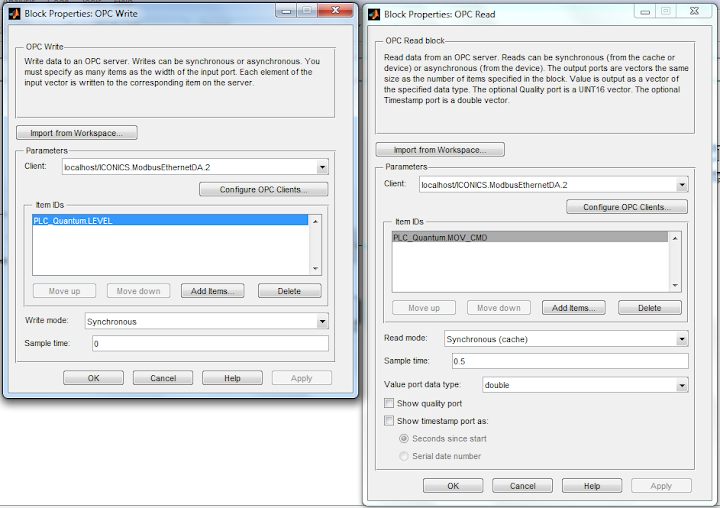 and Simulink read and write to OPC. 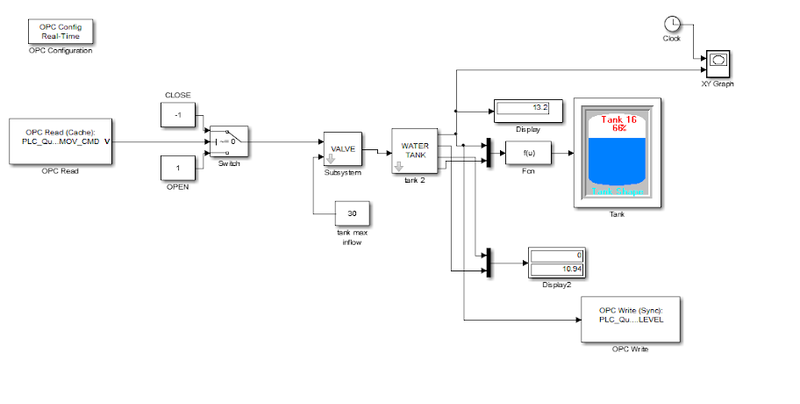 btw I also have another simulink model for tank mixing, If you interested I will upload it. 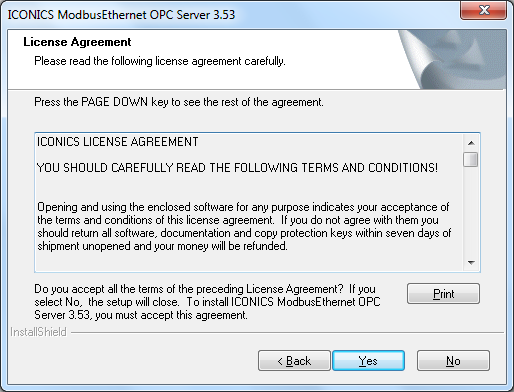 Actually I am interested in the PLC code in Unity Pro. 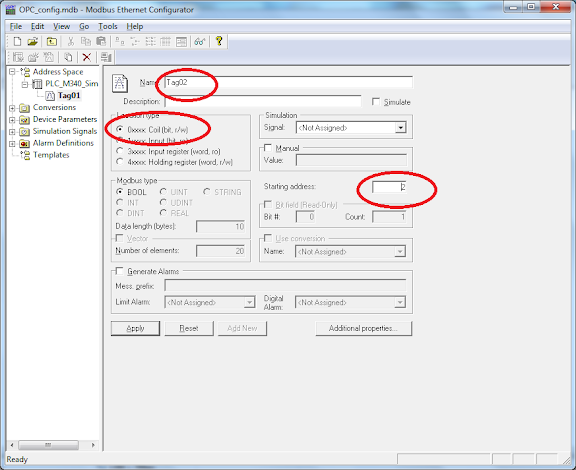 How do you configure the networks in “Communication -> Networks”? 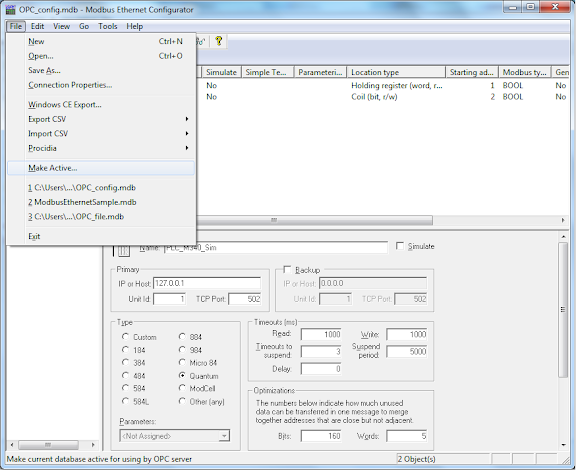 How do are the tags in the OPC server mapped to variables in the PLC? 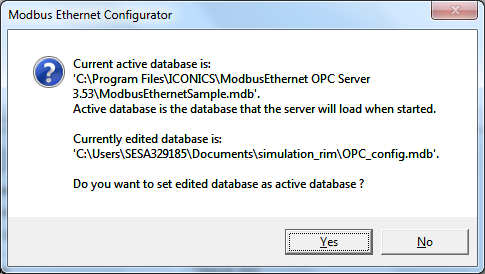 Are you able to post the Unity project you used as an .sta file? 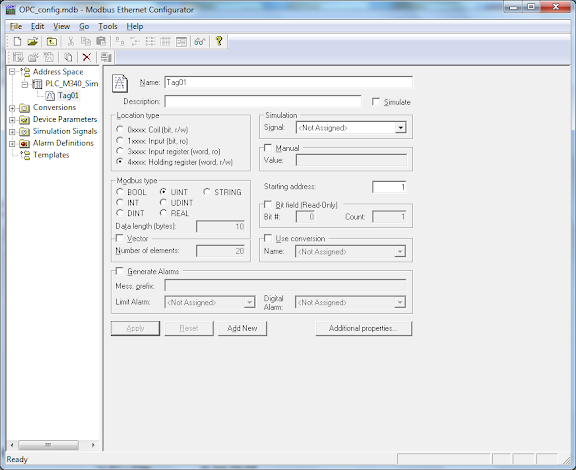 Or just some screen captures of the configuration pages of networks and variables (“Variables & FB instances”)? 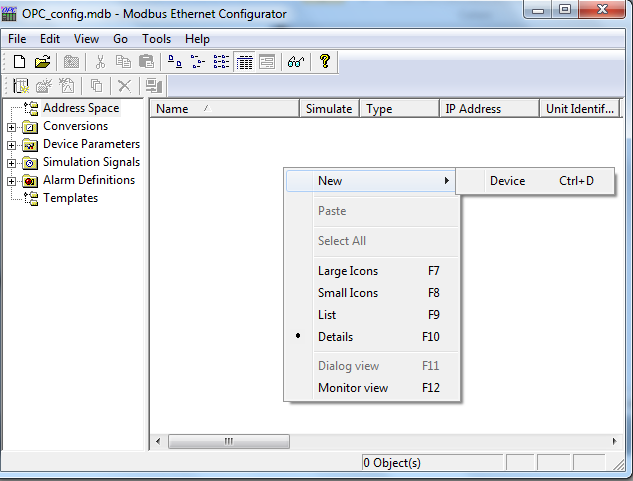 I just configure network for the IP address. 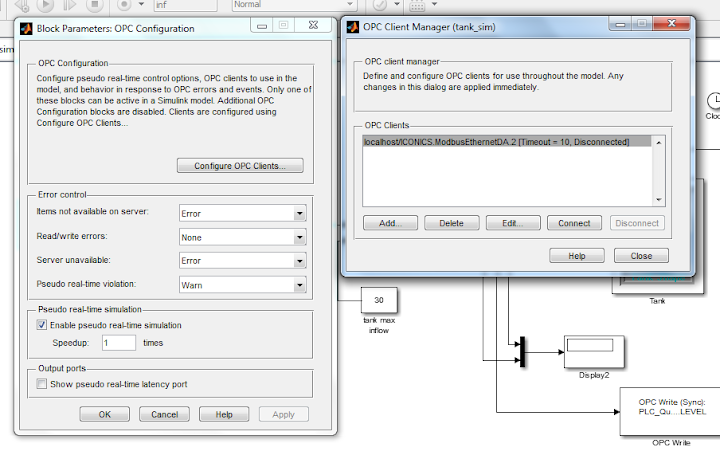 The OPC mapped to variable via Modbus Address. 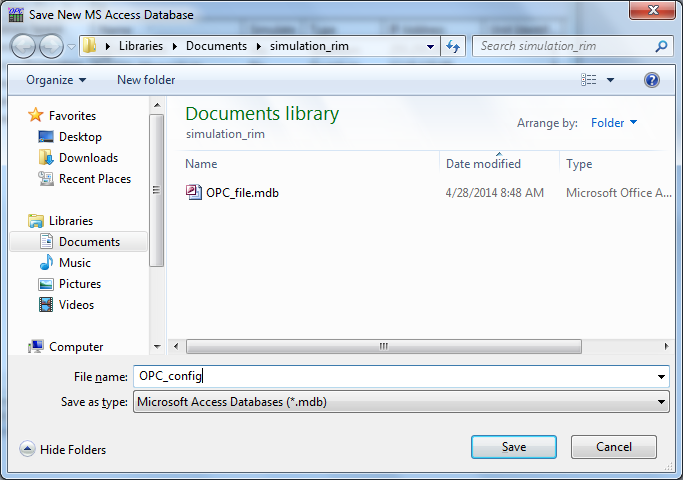 For example I have %m1 and I read from OPC 00001 (or 1), and for %MW1 to 40001.
let me upload sta file. did you upload the .sta file? I cannot see it on the site. 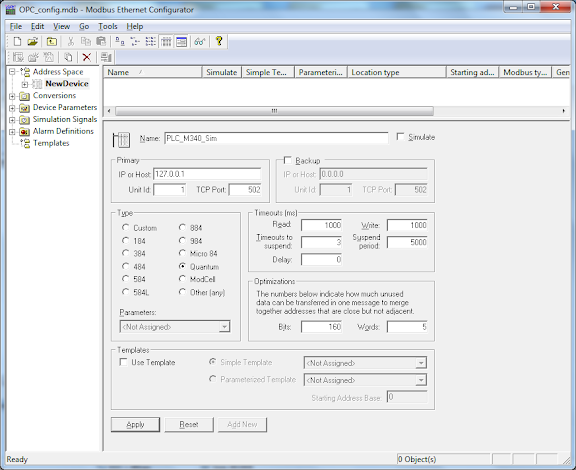 Finally got it working. Thanks! 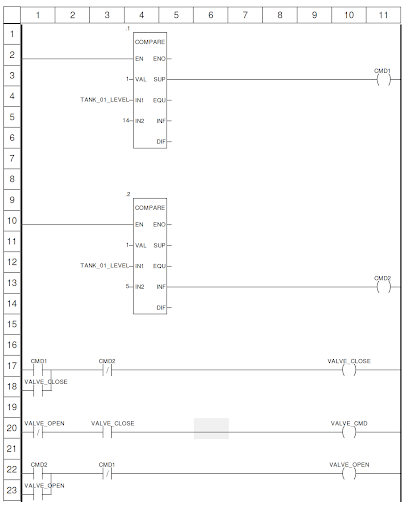 Hi, thank you for showing the connection sample with PLC M340 and Simulink. 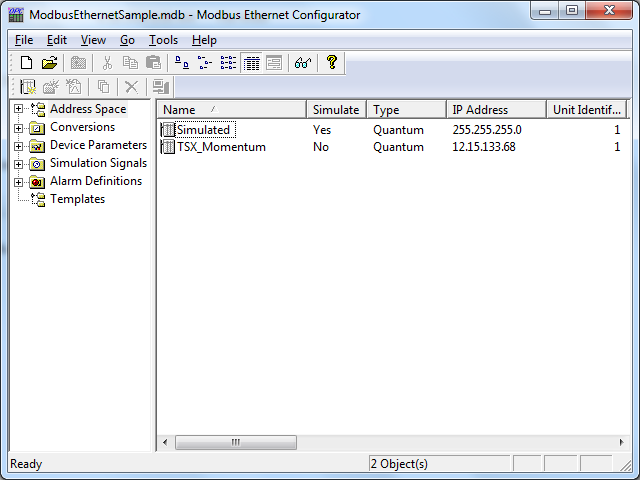 Could you again share the simulink model file? 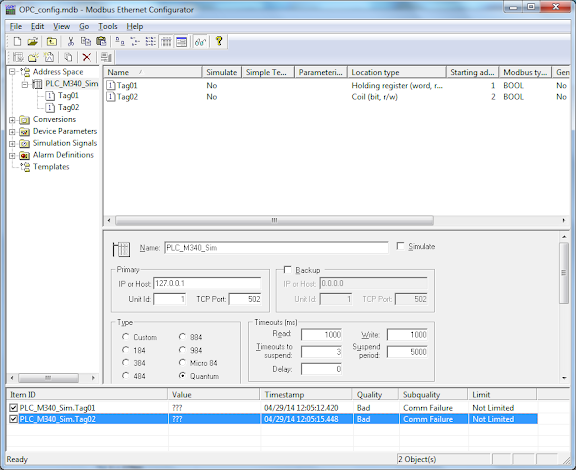 The link is not validate anymore…. 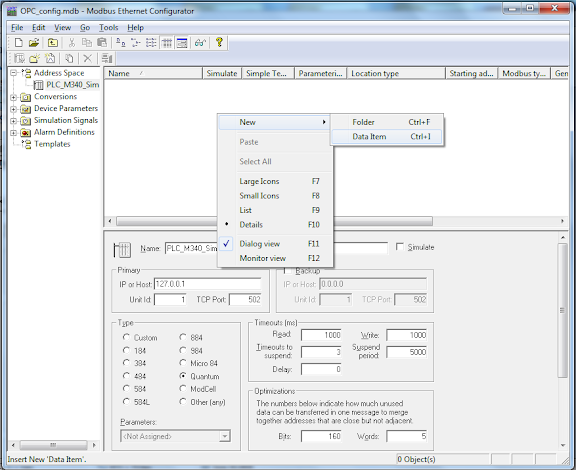 Can you share the simulink model file? The link is not validate anymore.